For centuries, the mills on Île Jésus relied on the force of nature to mill grain. They were powered by the river rapids. 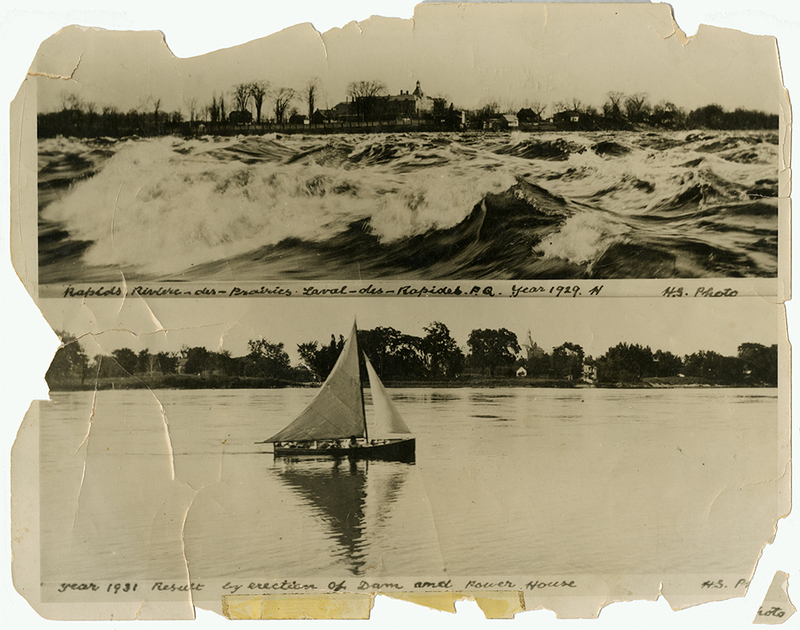 Once electricity arrived, a new potential was seen for the rapids, which were so close to the city. In the 1920s, two companies fought for the right to build a hydroelectric power plant on the river. In the end, it was the Back River Power Company that won the rights. (The Des Prairies River is also known as the Back River in English.) J. R. Walker, the company’s president, bought up all the flood-prone lands on the banks of the Des Prairies using a straw man to make sure that he would get the project. He was very determined! 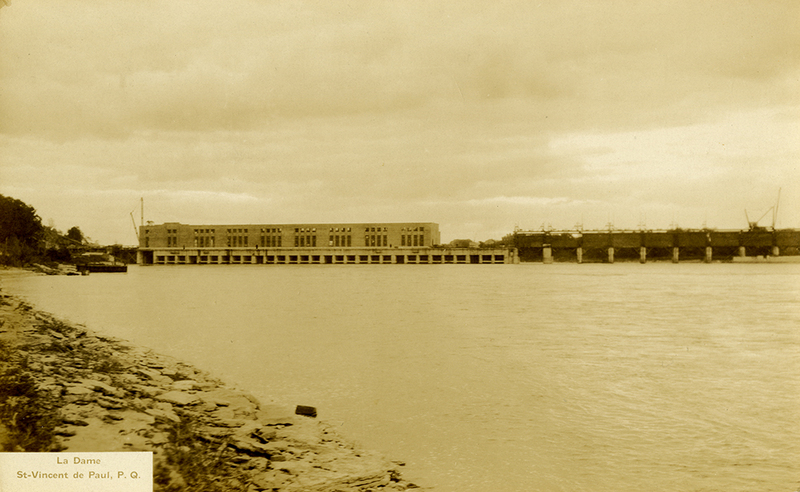 The dam was finally built between 1928 and 1930 by Montreal Light, Heat and Power, one of Walker’s other companies. Most of the construction took place on the shoreline of Île Jésus, which created a lot of jobs for people who lived on the island. But the construction devastated the landscape of the Des Prairies River. The famous Gros Sault [big rapids] disappeared completely, and a number of islands were flooded. The Du Crochet Mill was also demolished by the Montreal Light, Heat and Power Company. Nevertheless, the dam was very important for supplying electricity to Île Jésus and the Island of Montreal.